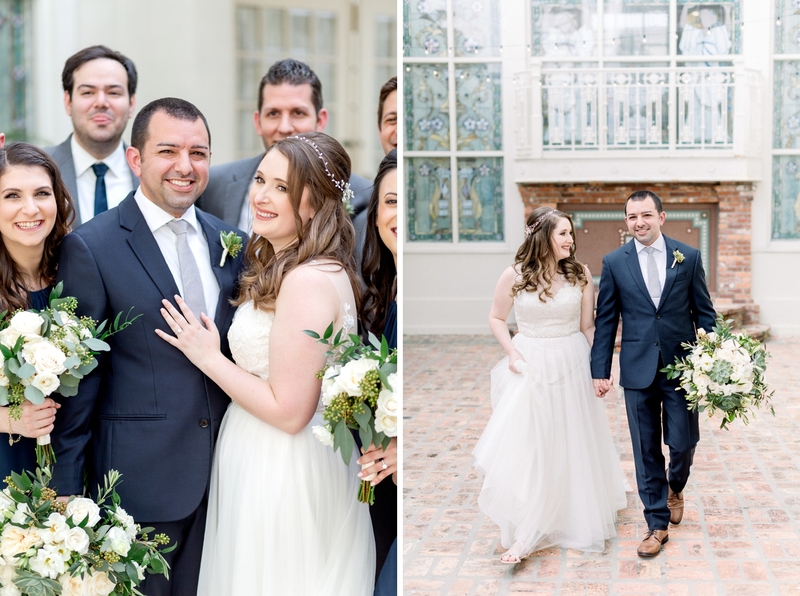 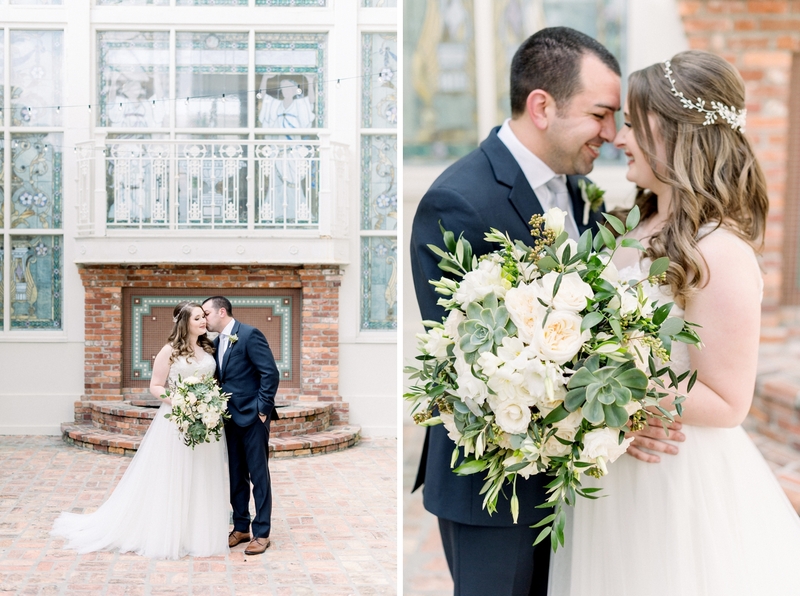 The transformation of the Orchid Garden was truly spectacular for Jaclyn and Joseph’s wedding day! 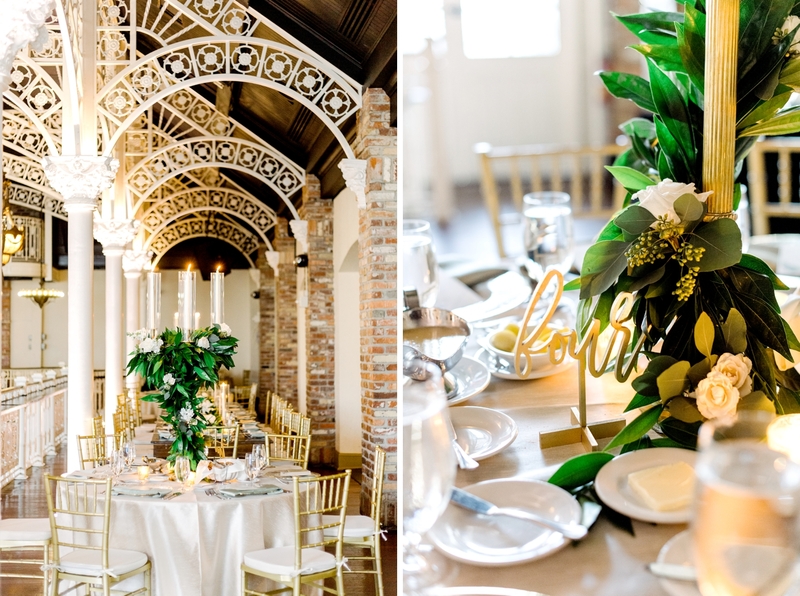 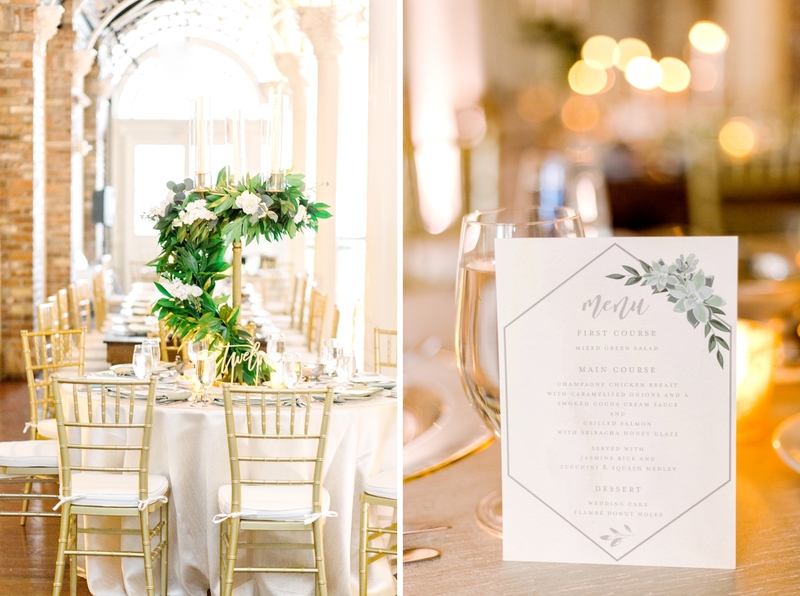 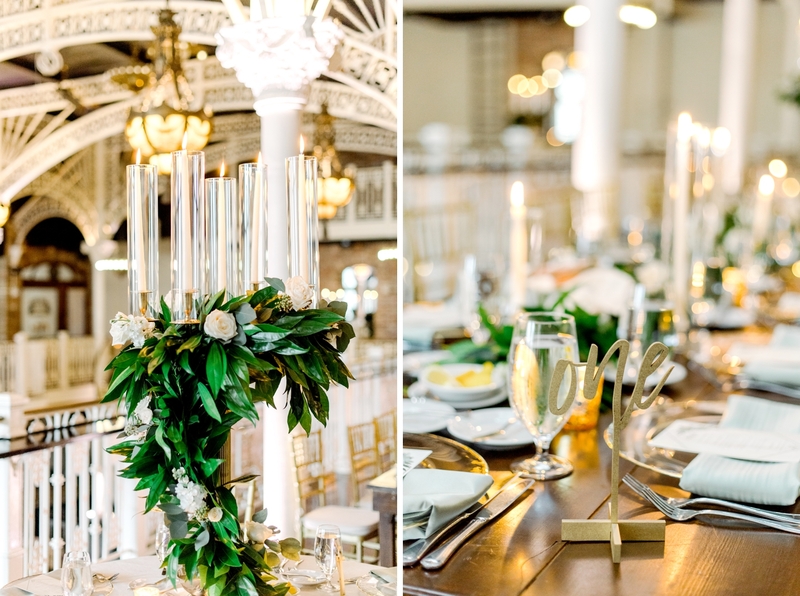 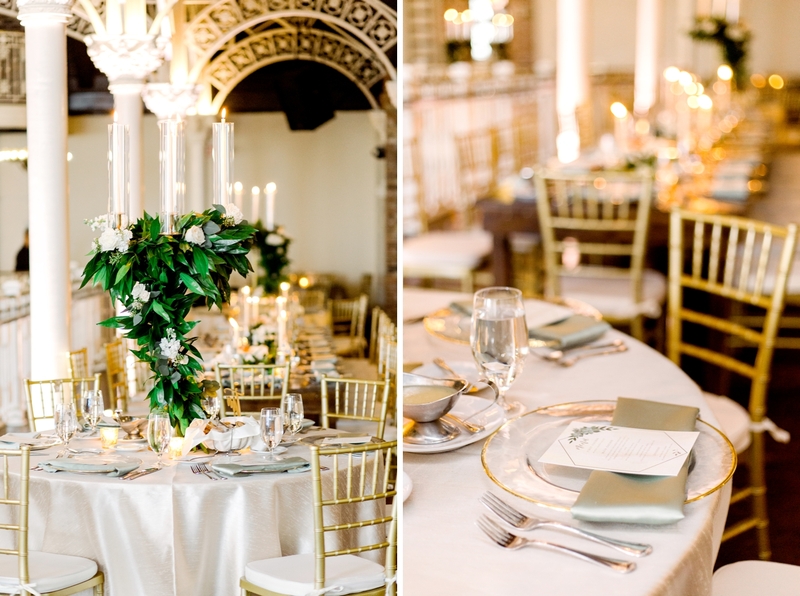 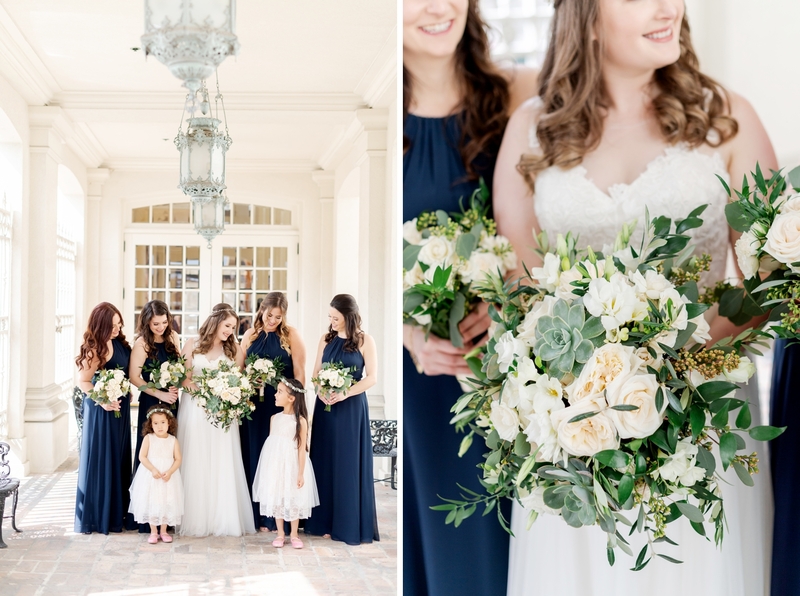 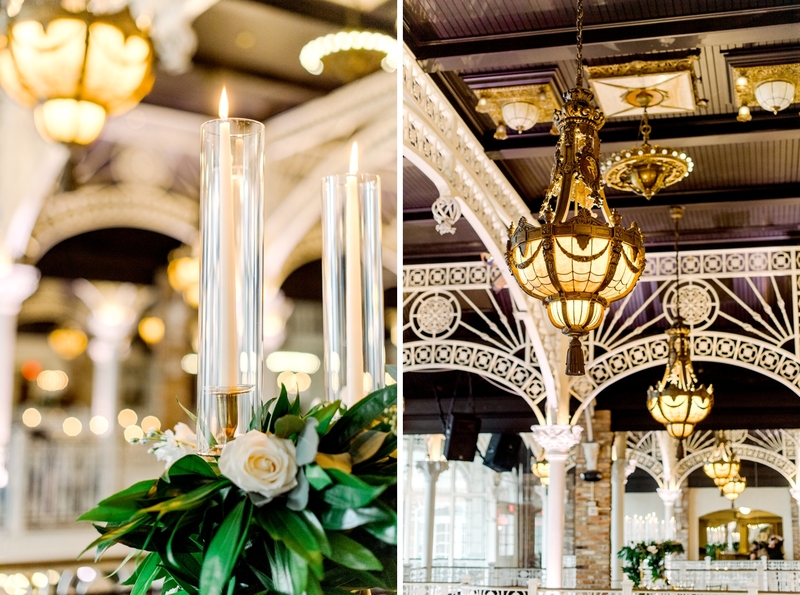 Combining navy blue, sage green and gold – Annie Nuno (designer from The Soiree Co) created an indoor garden inside the historic downtown venue. 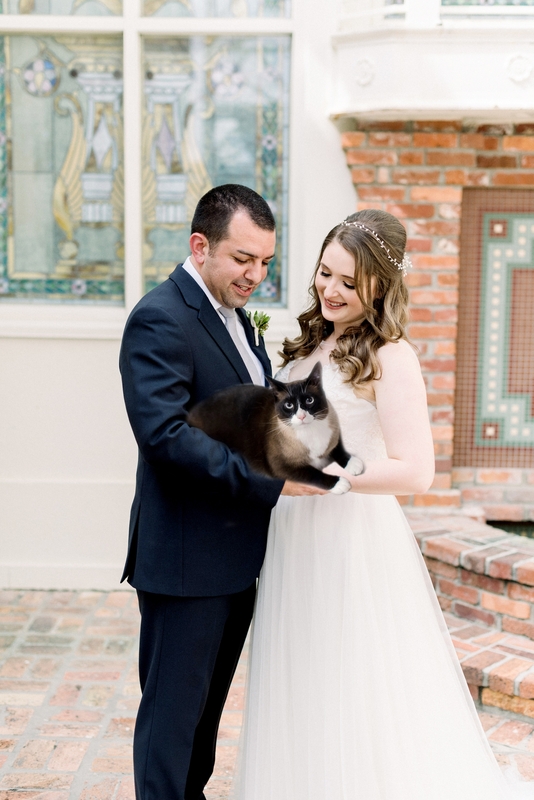 And while the photos may fool you (ok, they’re not fooling anyone) Jaclyn and Joe’s furbaby, Zorro, wasn’t actually at their wedding! 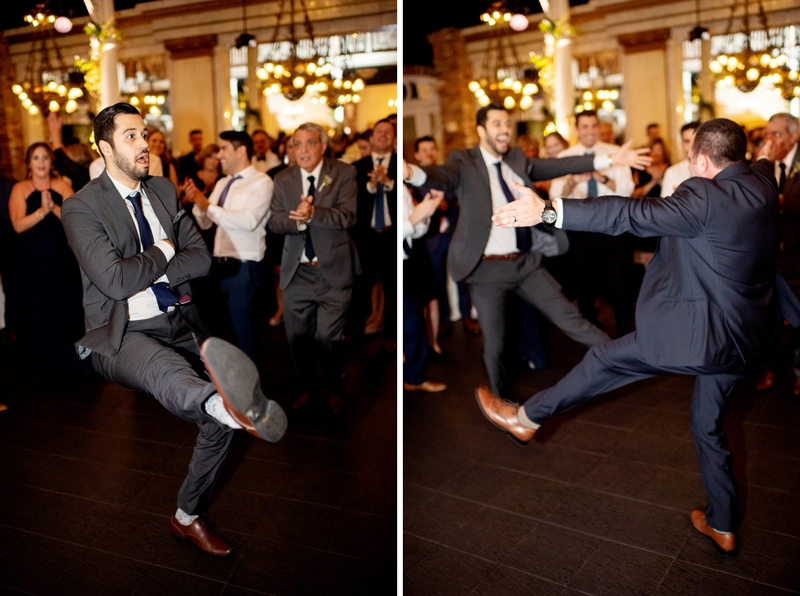 However, he did get his own specialty cocktail at the reception! 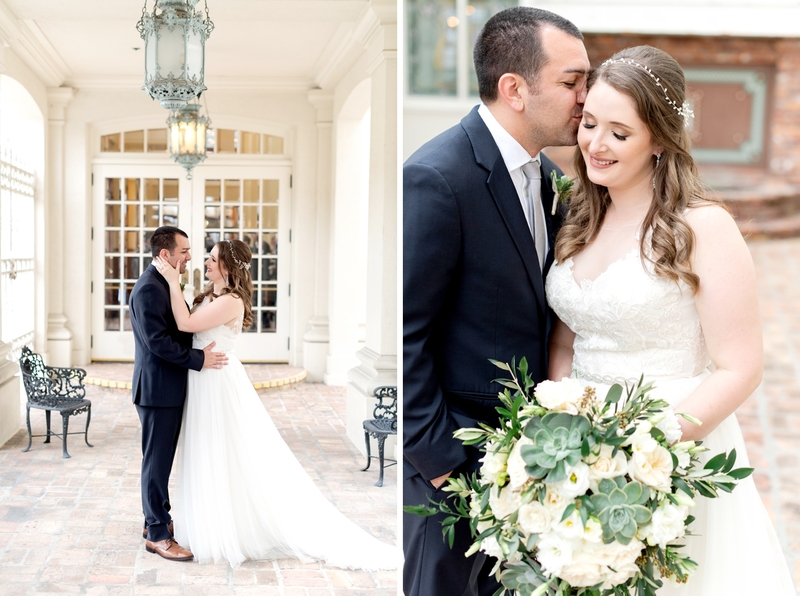 Since Zorro has quite the Instagram following, I knew we had to include them somehow – and asked them to pose for a few shots so I could add him in later! 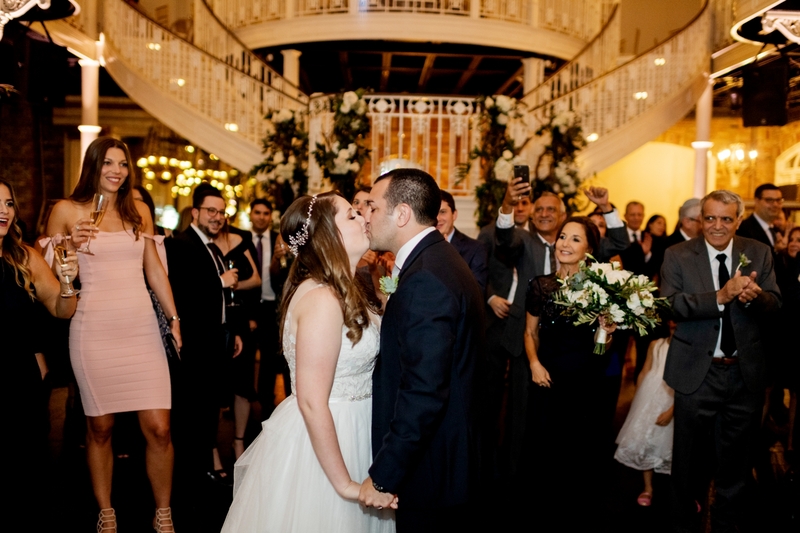 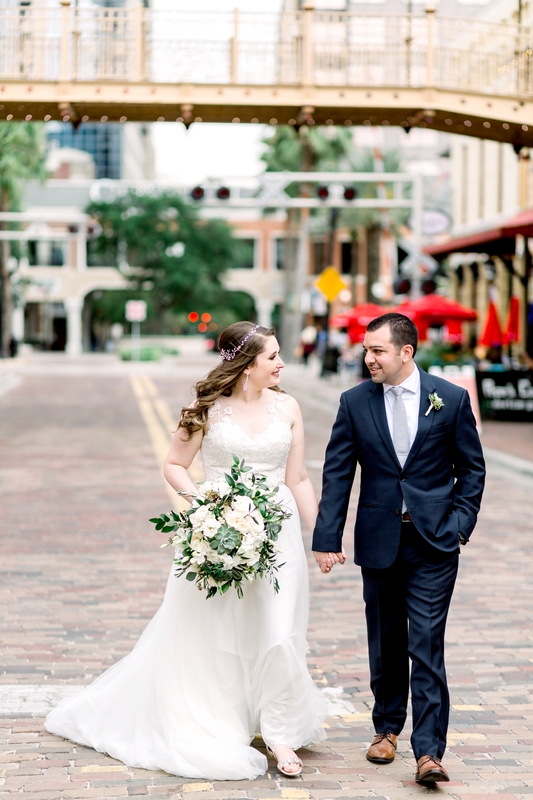 Jaclyn and Joe met at the University of Florida (go Gators!) 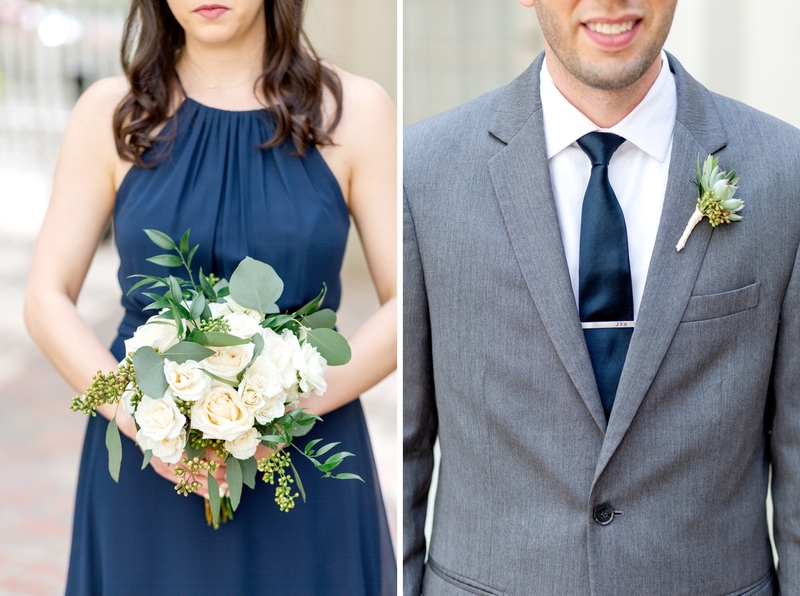 while they were both attending law school. 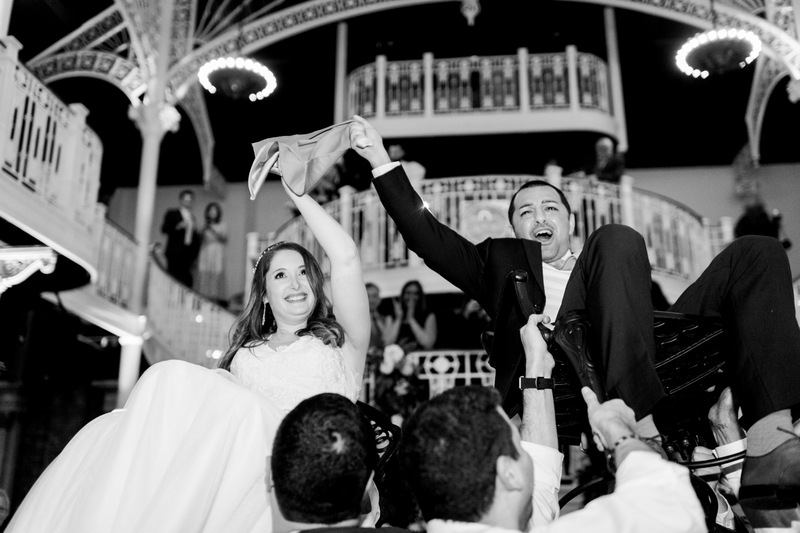 Needless to say the rest was history. 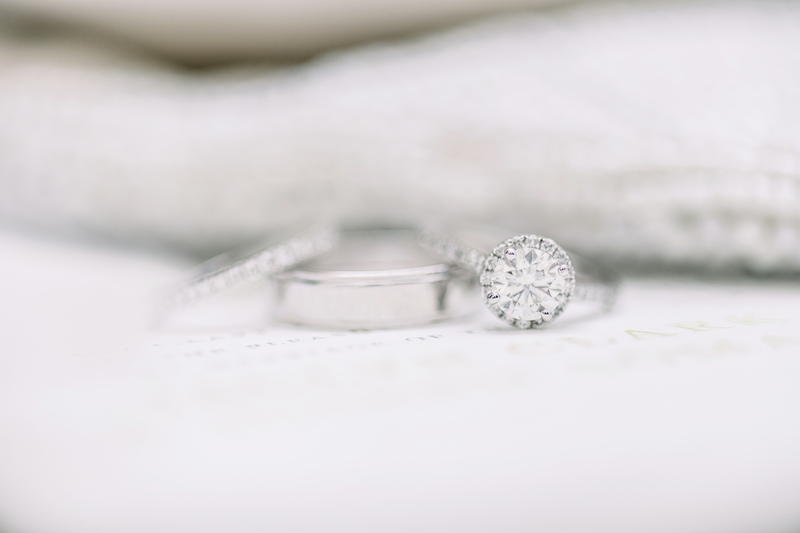 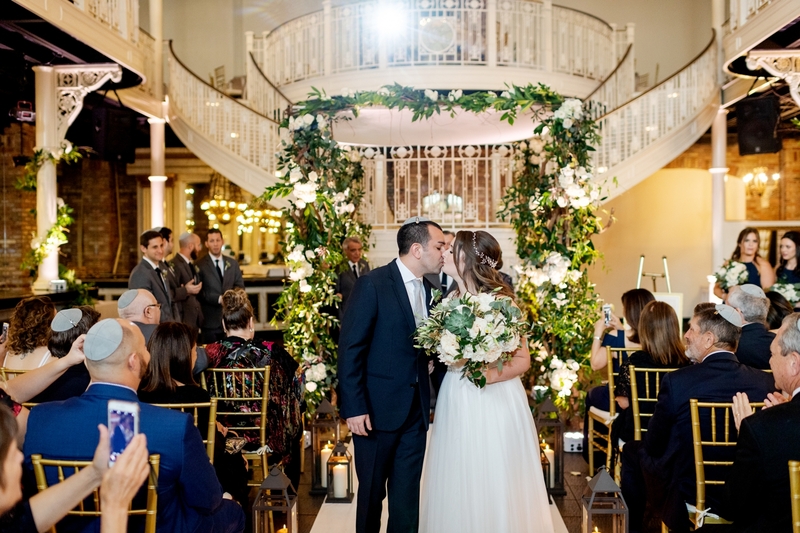 Taking her back to where it all started, Joe decided that a night in Gainesville at their favorite restaurant would account for the best proposal ever, and he wasn’t wrong! 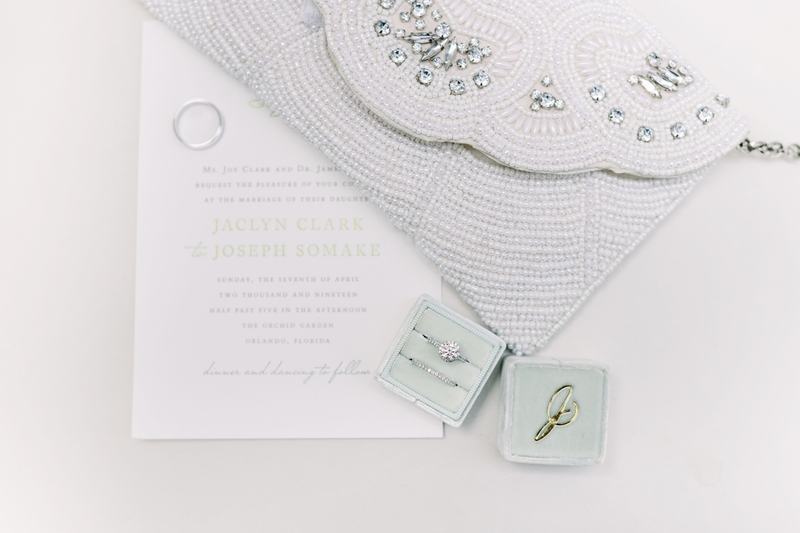 Jaclyn sure has an eye for details and she didn’t miss a thing. 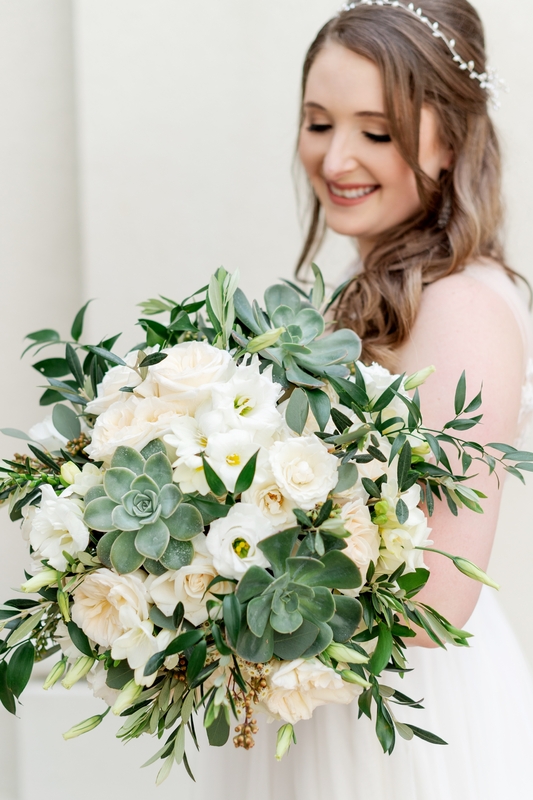 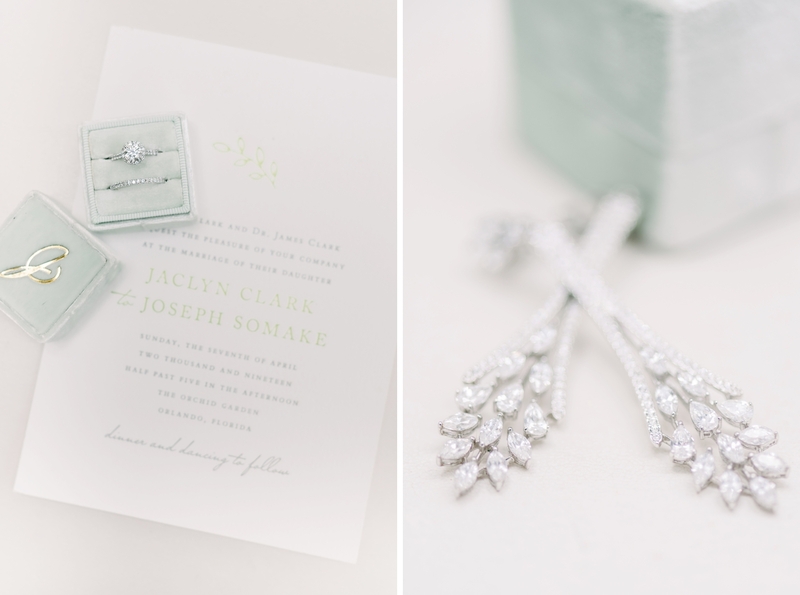 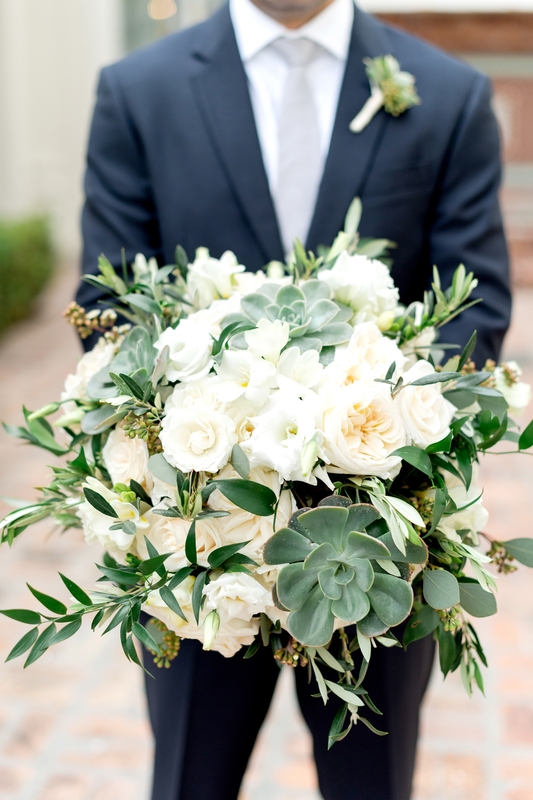 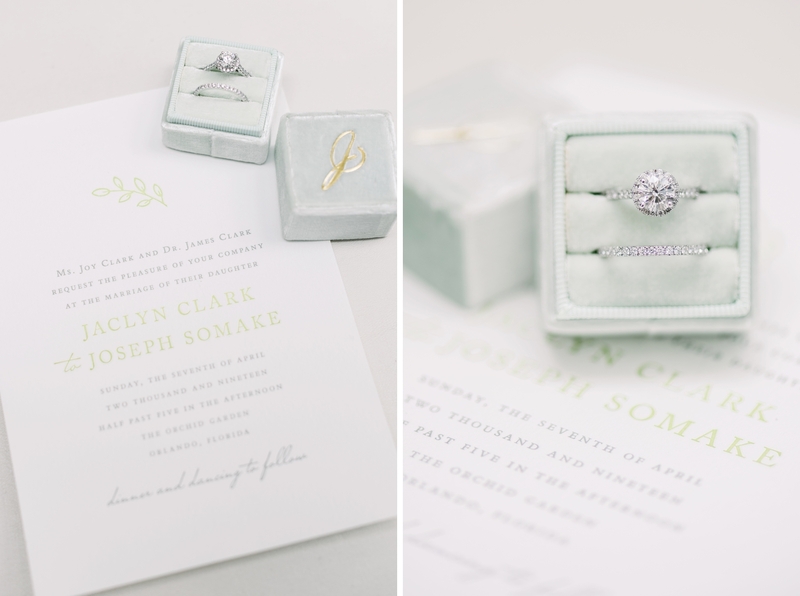 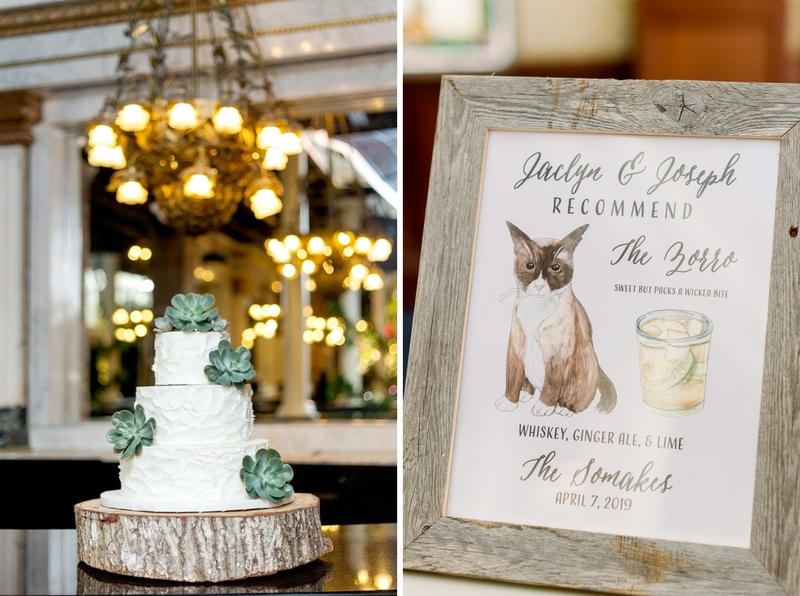 We loved everything she prepared – from her “The Mrs. Box” ring box to the succulent favors for guests to plant! 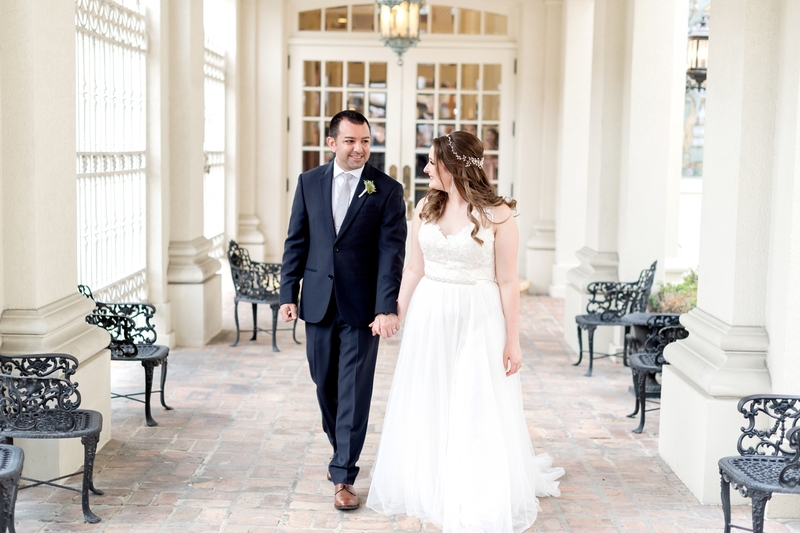 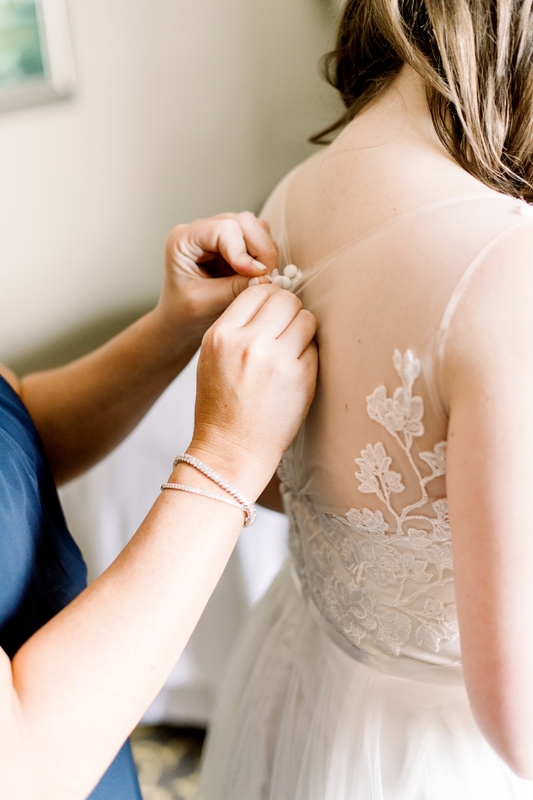 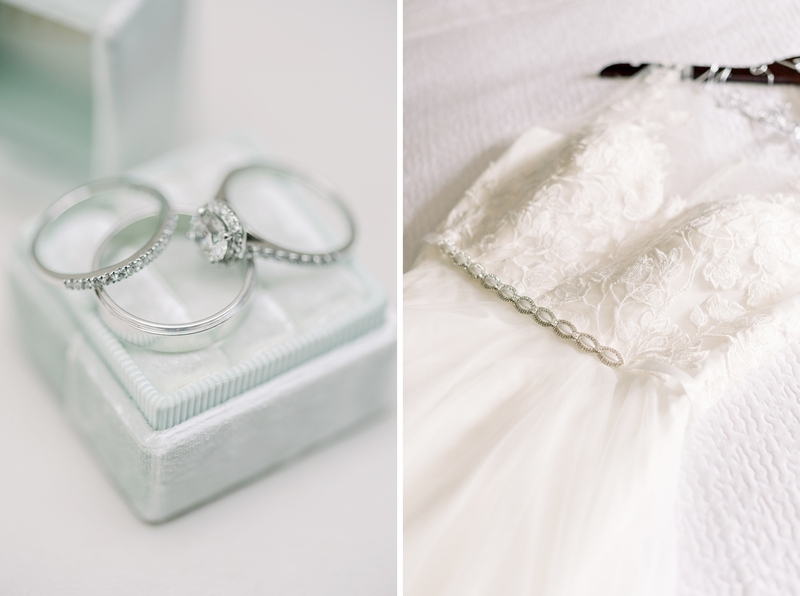 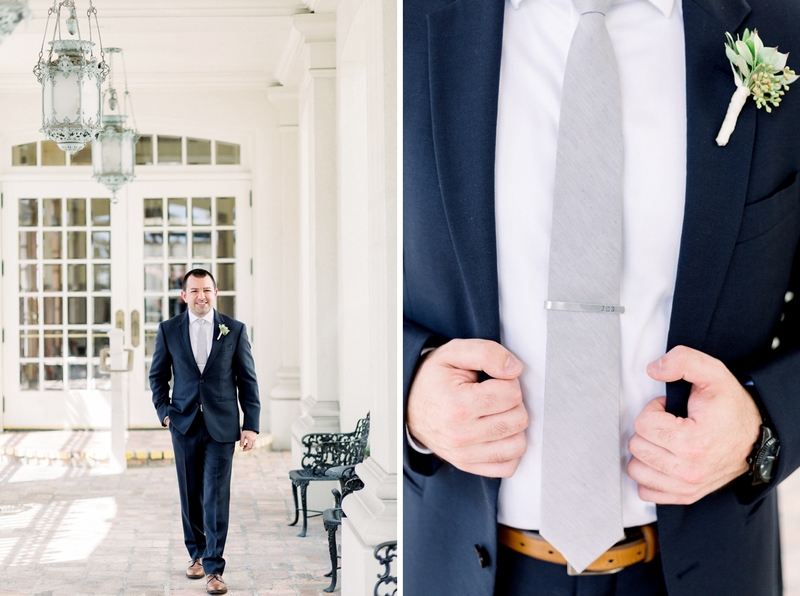 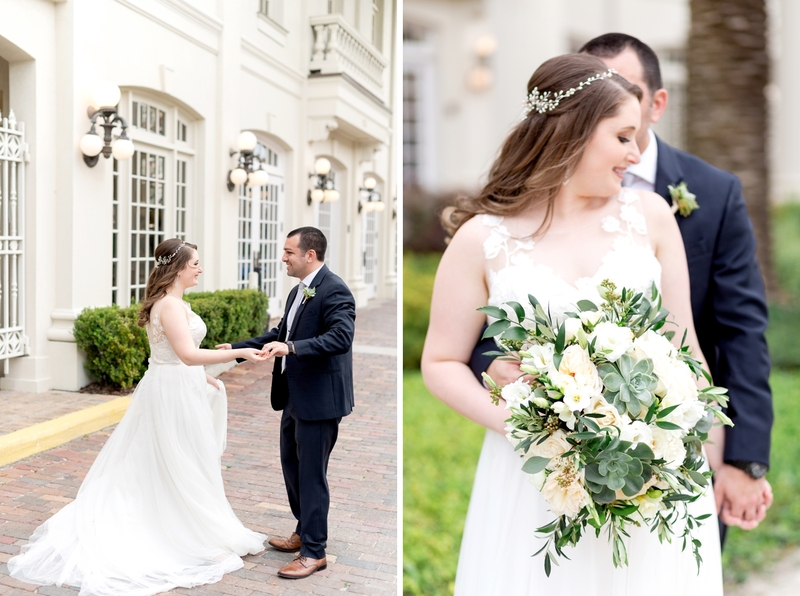 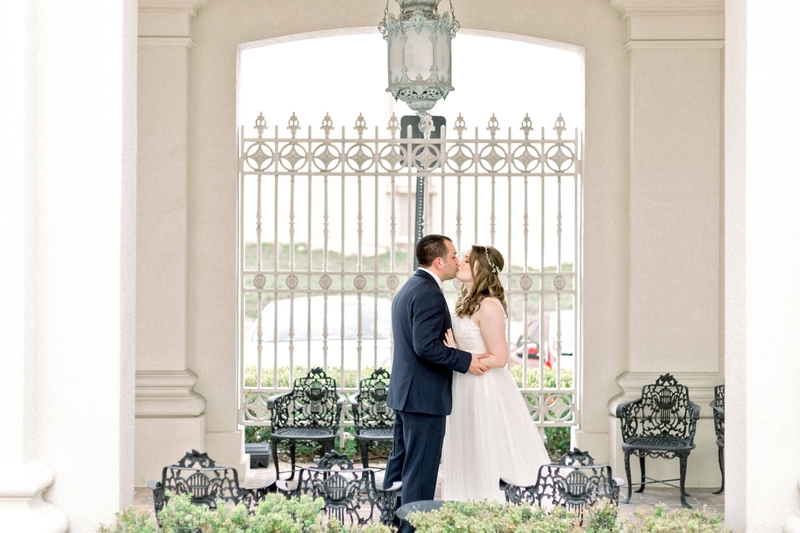 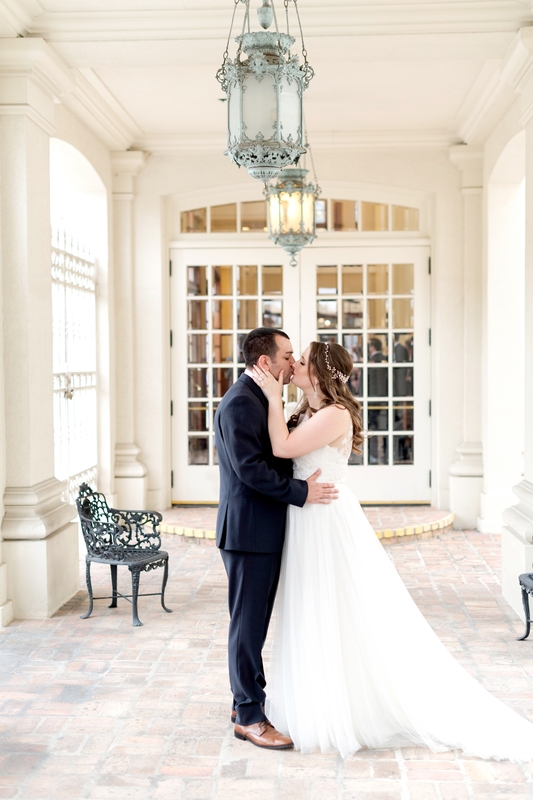 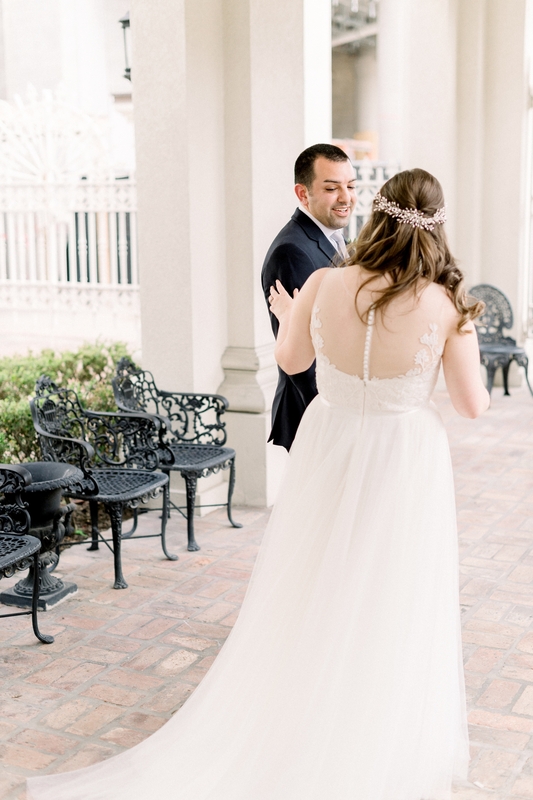 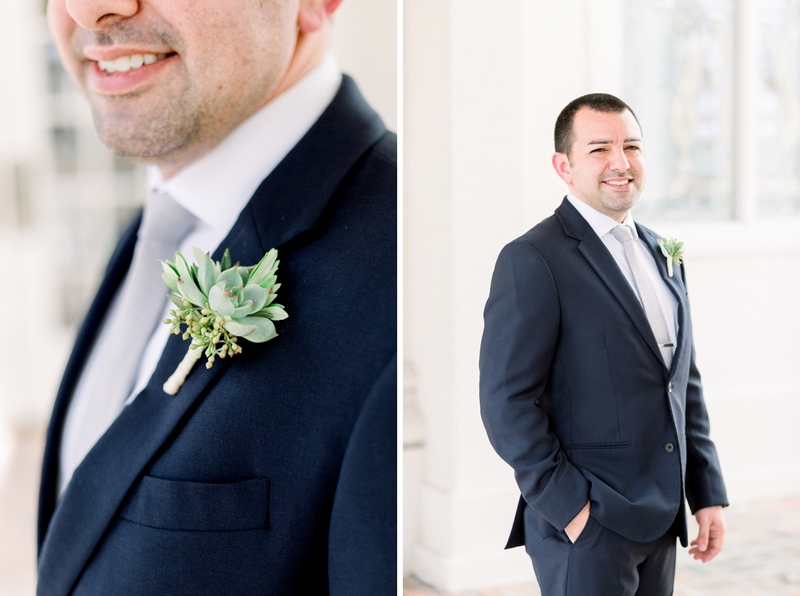 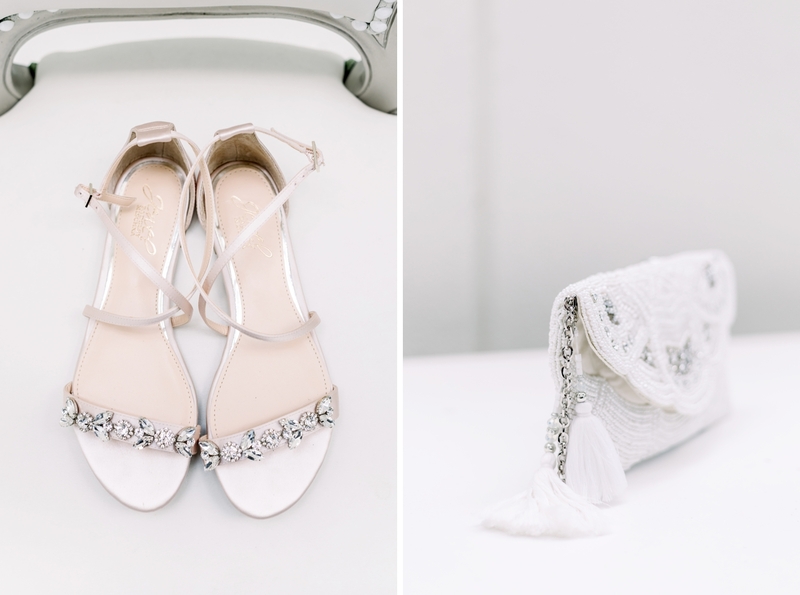 Jaclyn and Joseph started their day getting ready at The Grand Bohemian hotel downtown. 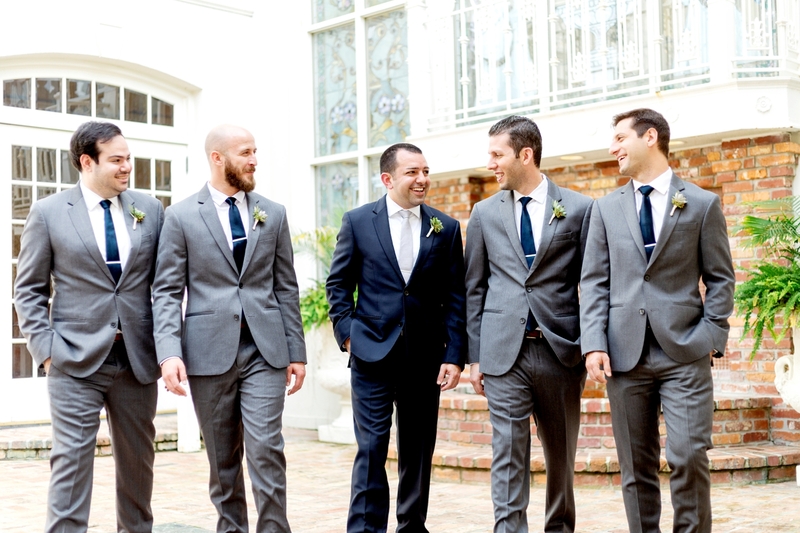 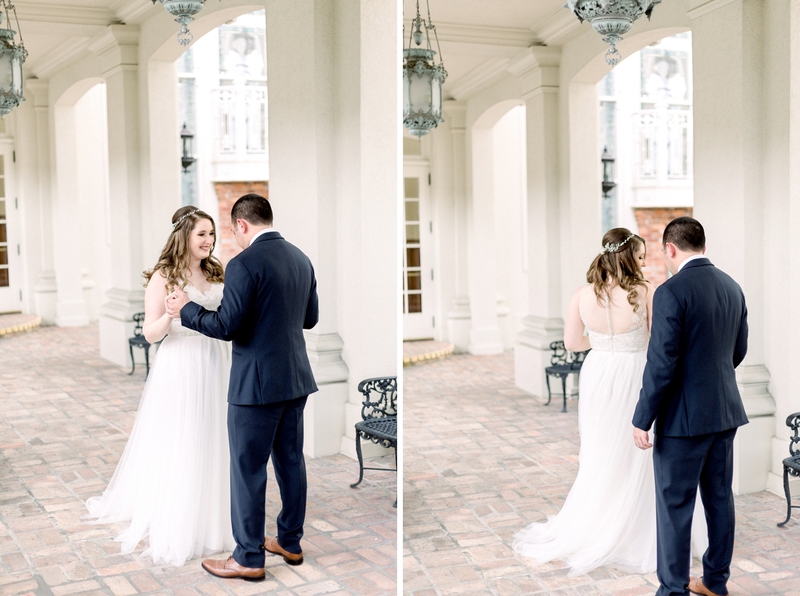 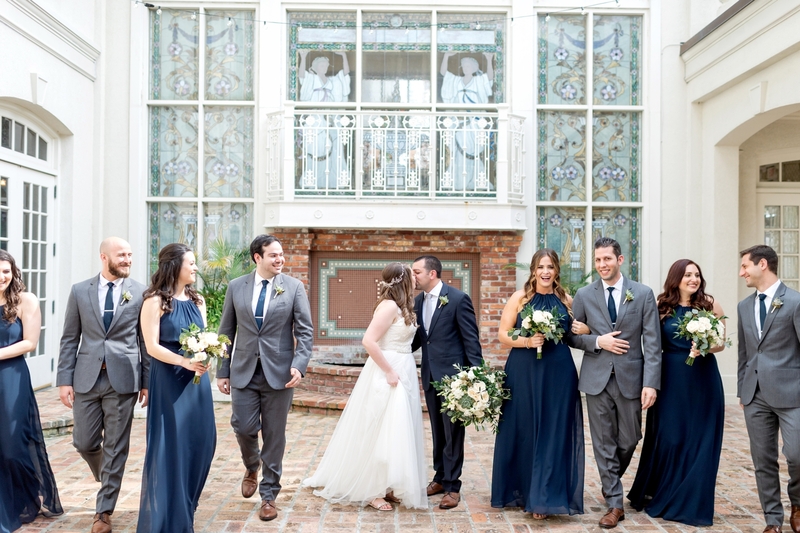 They chose to see each other with a First Look in the courtyard at the Orchid Garden. 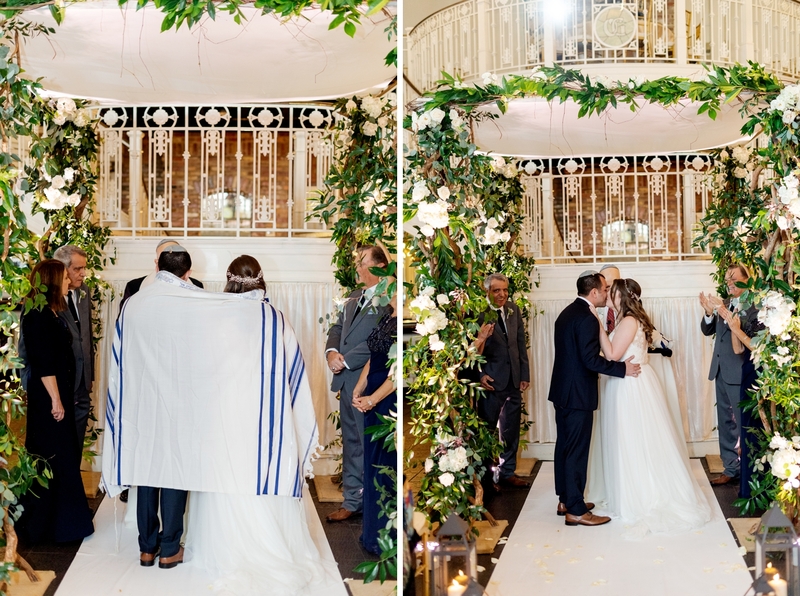 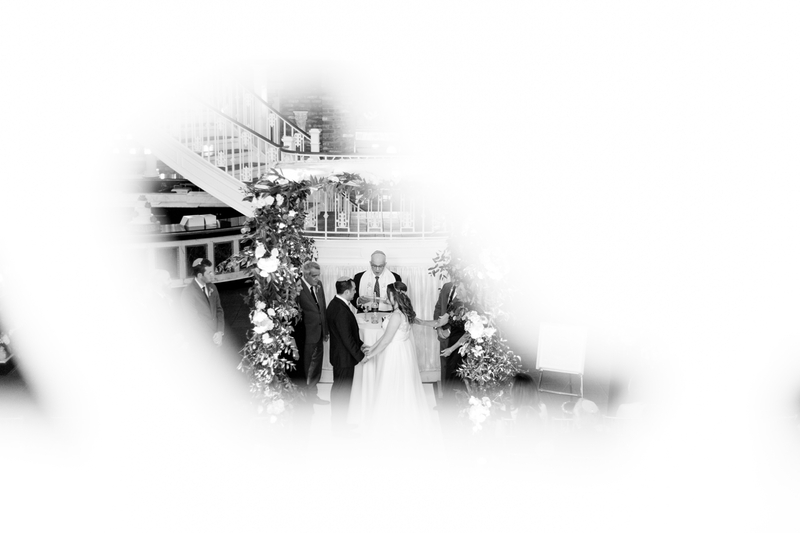 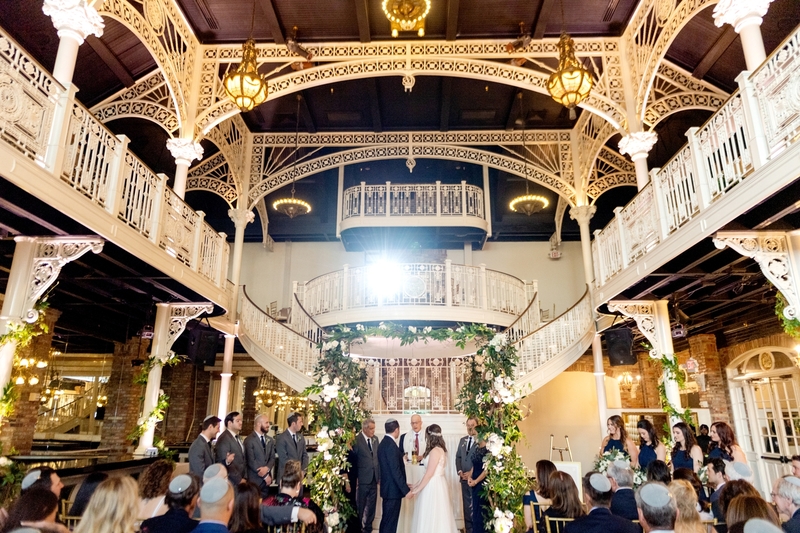 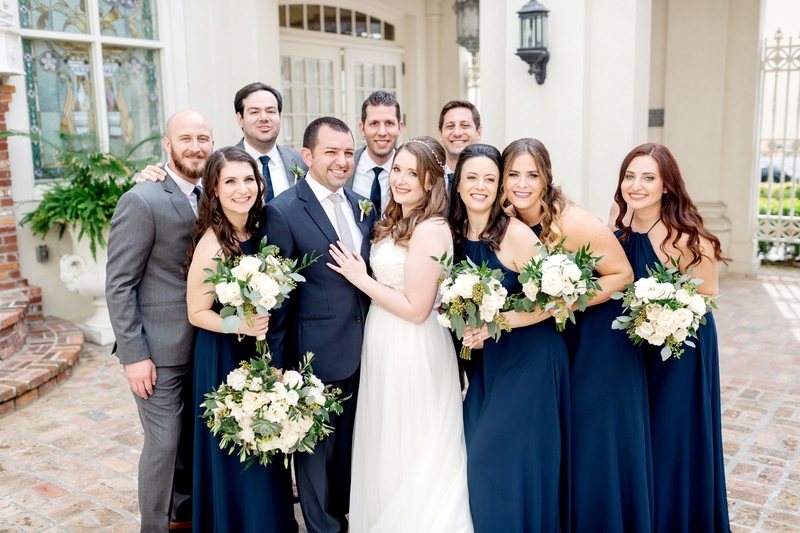 Following family photos, they had a small Ketubah signing ceremony followed by a traditional Jewish ceremony in the main ballroom. 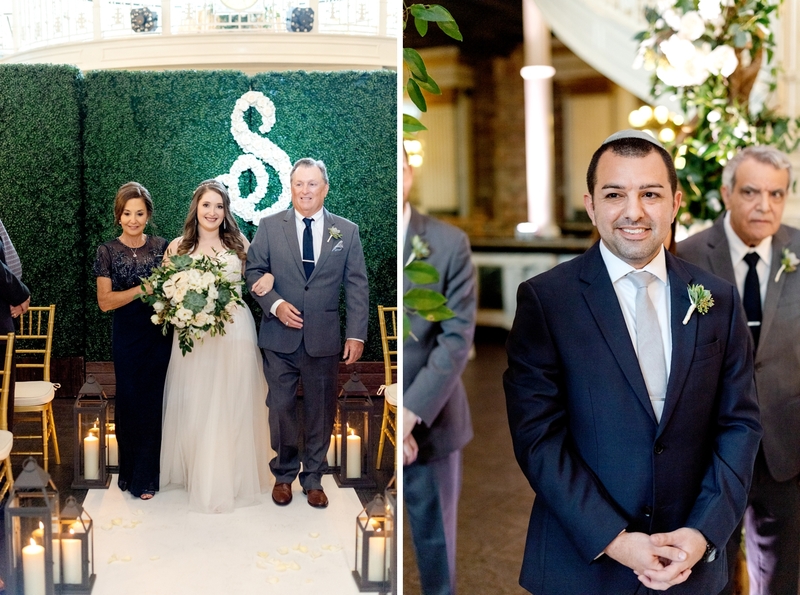 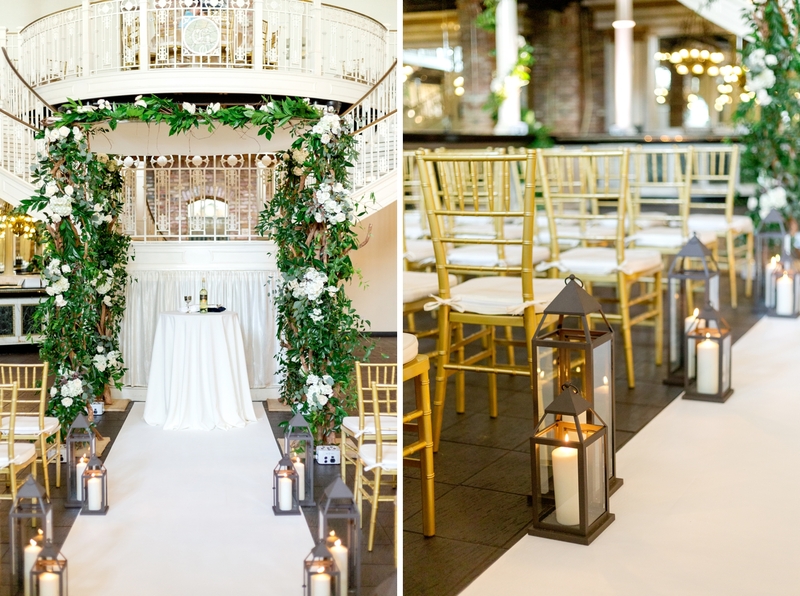 Annie created an indoor garden with a lush Chuppah, hedge walls, fresh rose monogram and columns wrapped in ivy! 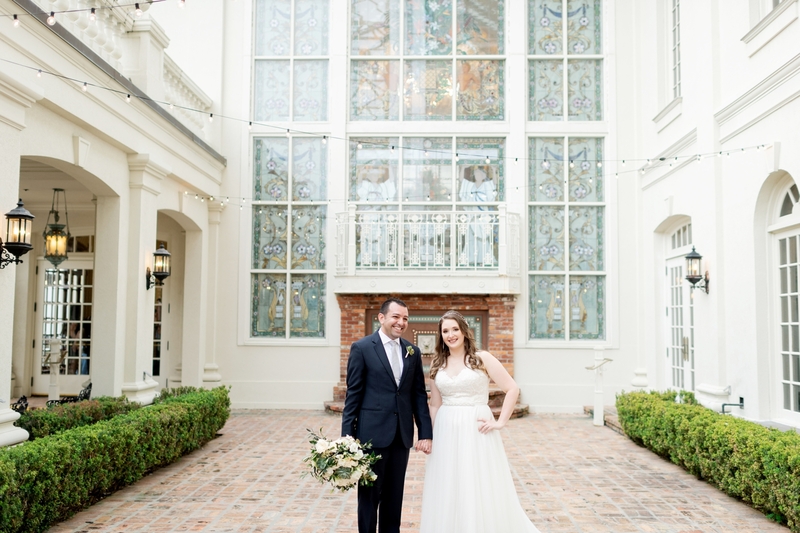 Their ceremony was officiated by Rabbi Olshansky and ended with an imperfectly perfect glass breaking! 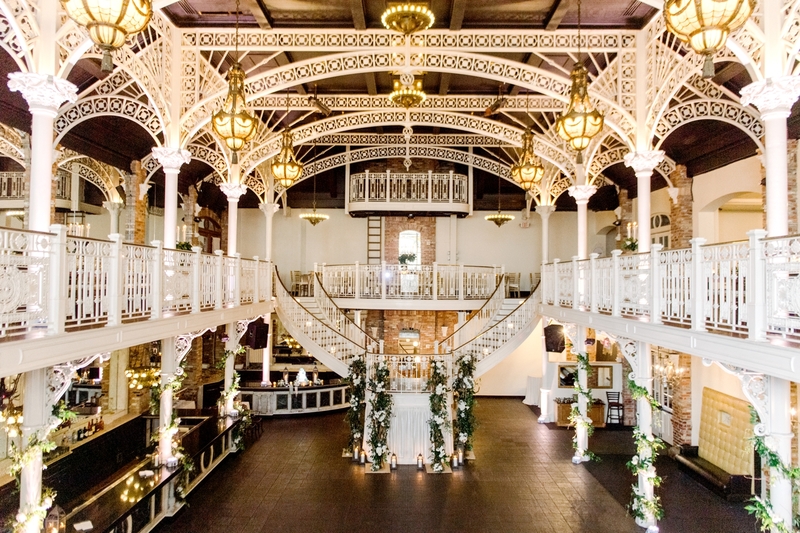 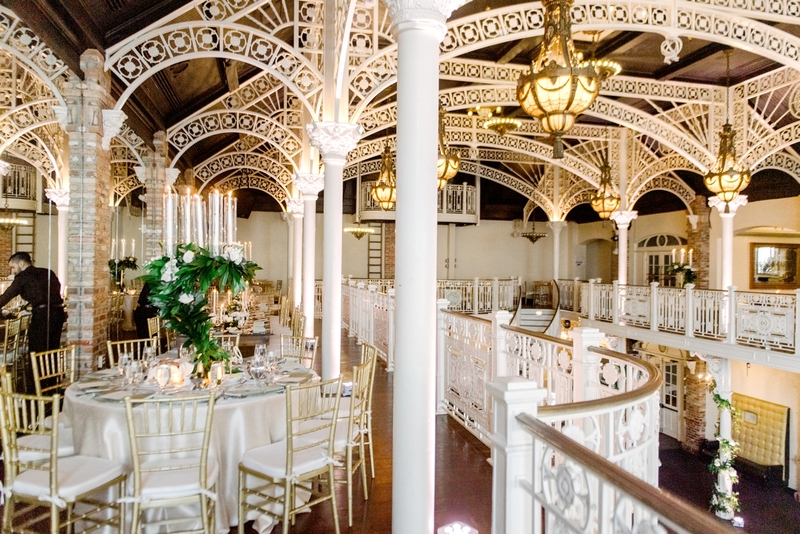 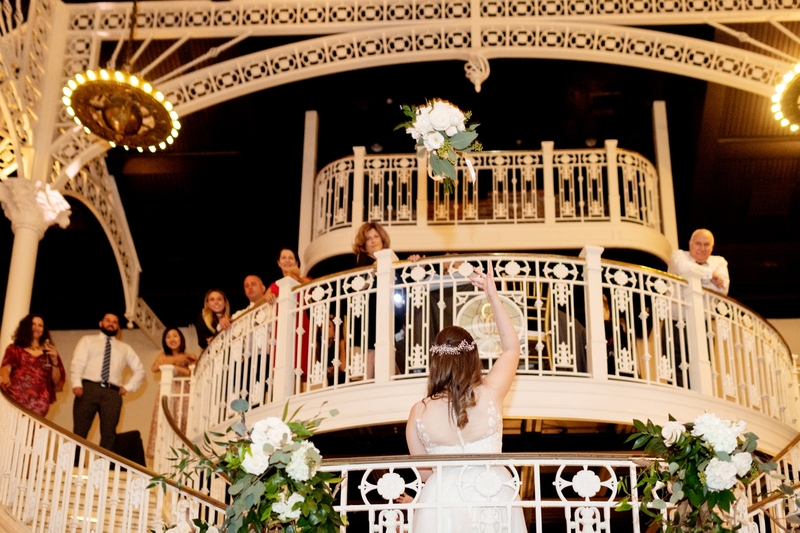 The upstairs of the Orchid Garden was transformed in to a stunning dinner reception while the downstairs was flipped for the band. 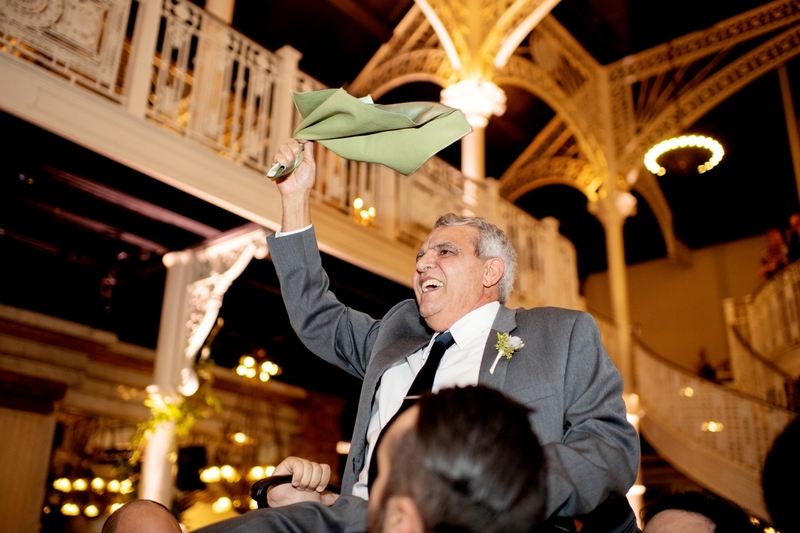 Following a sweet welcome from the bride’s dad and prayer over the Challah by her brothers, dinner was served. 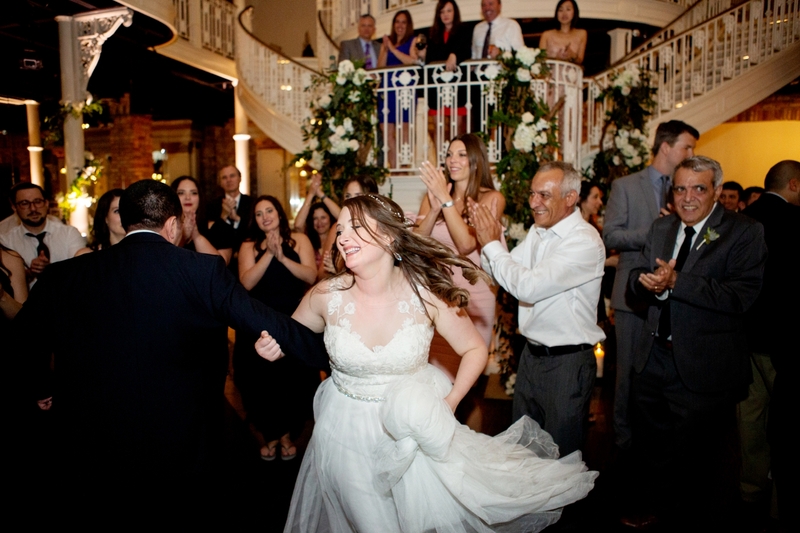 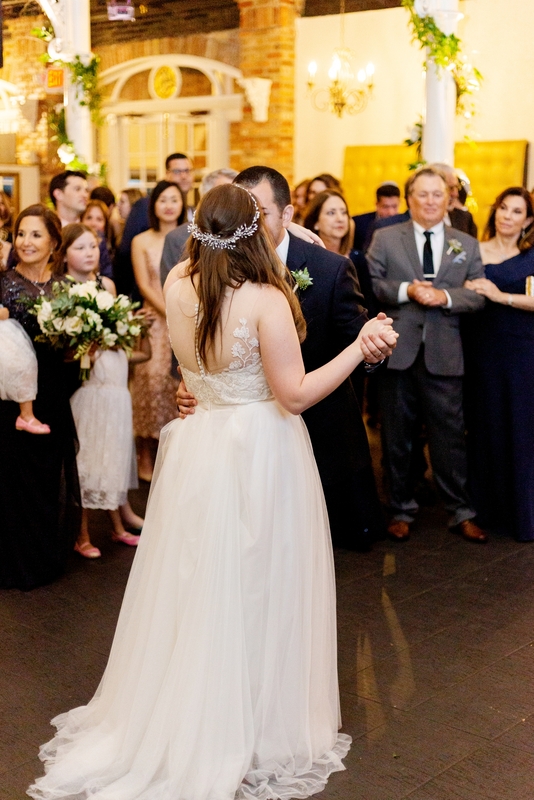 The evening really kicked in to high gear when guests were invited downstairs to dance the Hora! 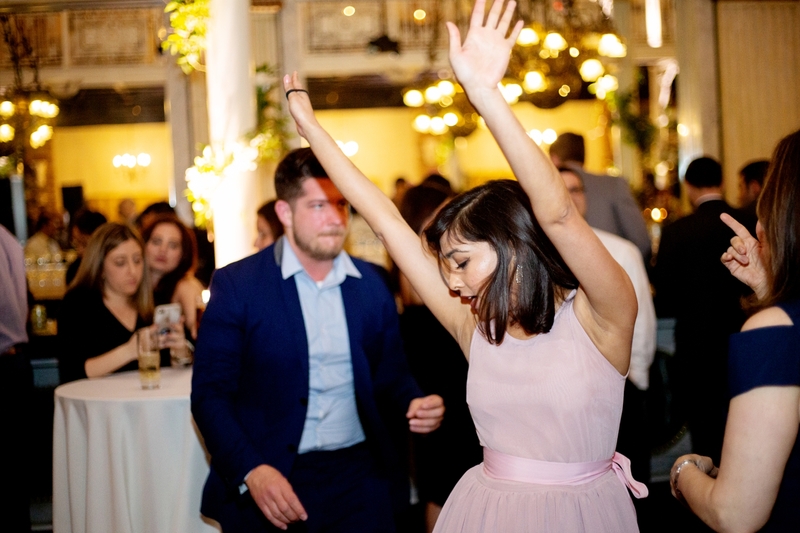 The night finished with dancing and drinks before the bride and groom departed for their honeymoon in Antigua! 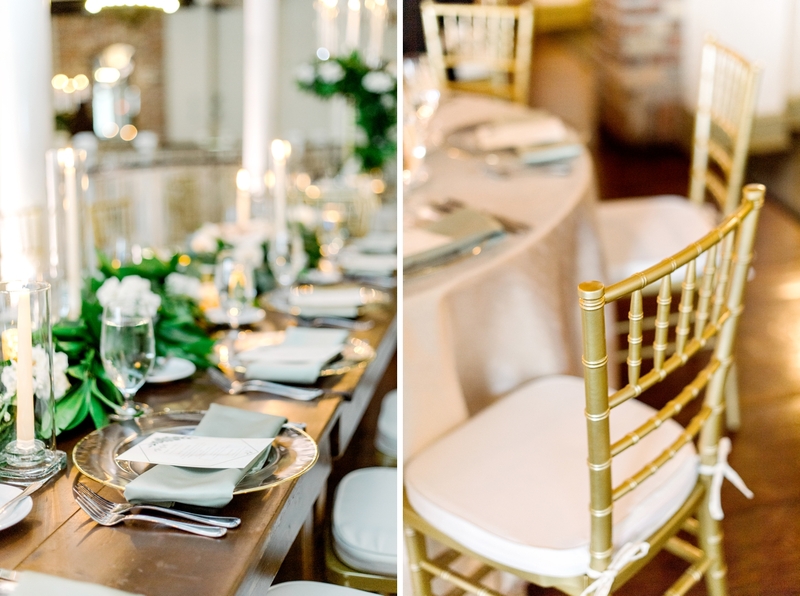 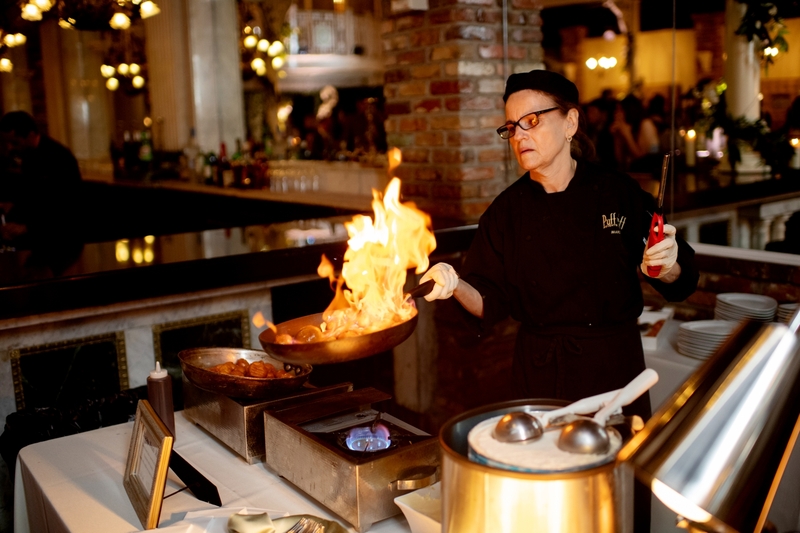 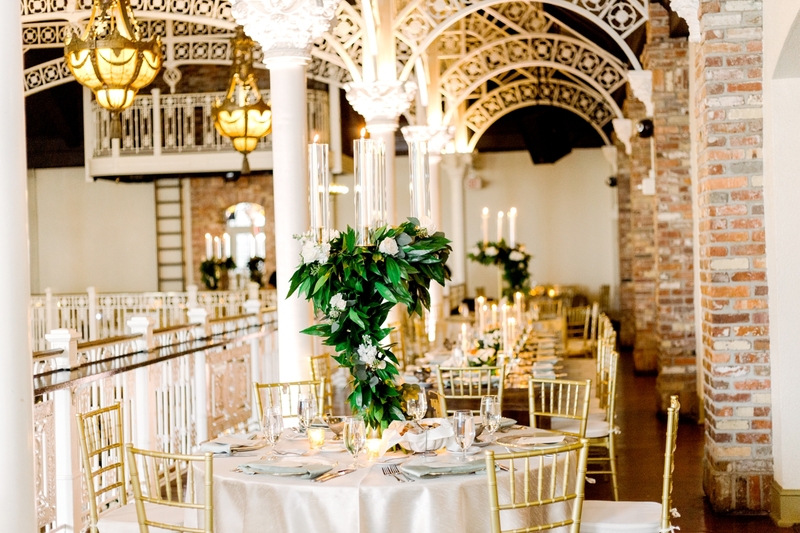 Event Planning: Annie with The Soiree Co.